Yes, I am back from the hectic trip. Meet the rest at Harbourfront McDonald at 8.45am to have our breakfast before checking in. 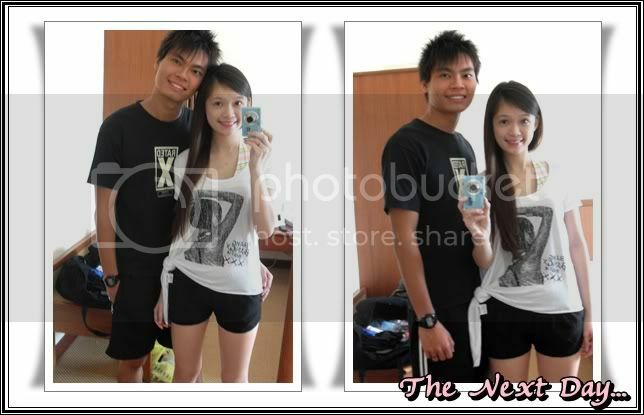 So sad that Liang Quan and Yee Liang cannot go! Awwww. The two "Liangs" are able to go. After eating our breakfast, we went to check in at Penguin Counter. 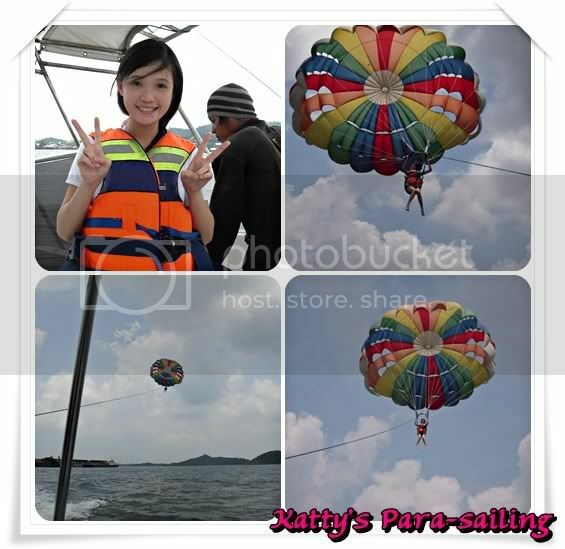 My first virgin trip to Batam! 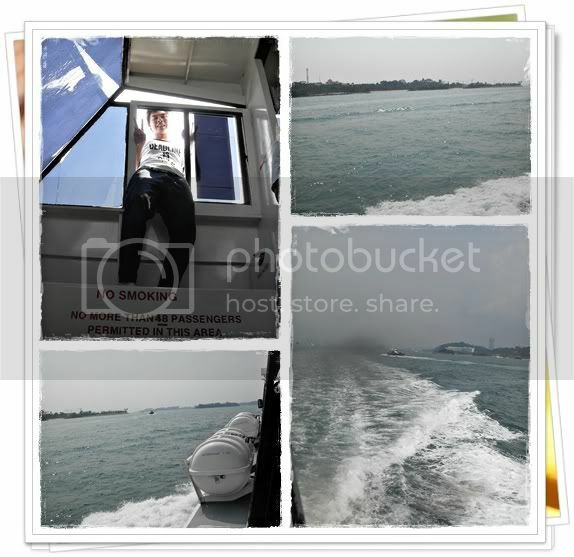 It was about 45minutes to an hour trip to Batam. I am really "sway" as my auntie came on that day! Bee kept making fun of me. 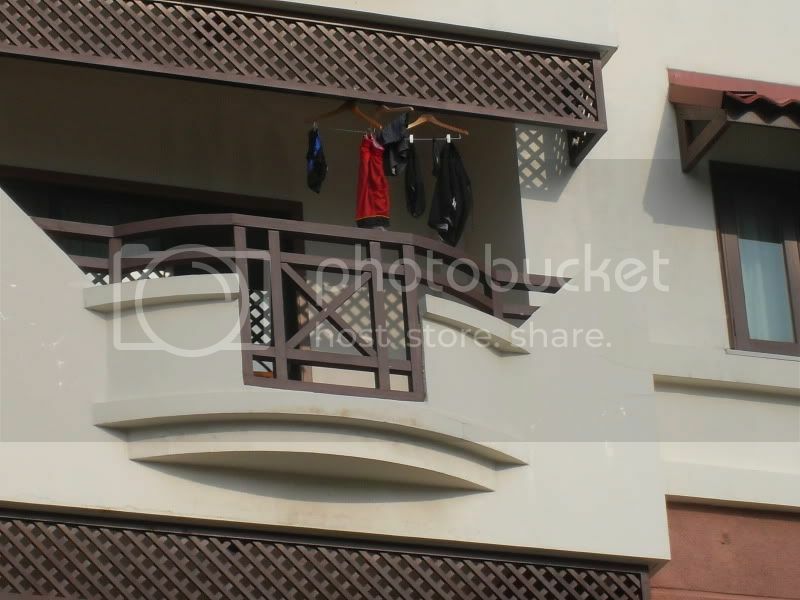 We thought that we are able to enjoy the breeze. 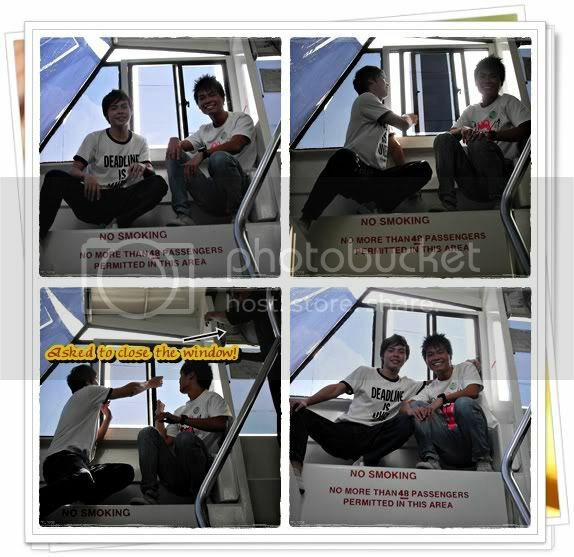 So the three of us (Kian Wee, Bee and I) went up the ferry to see if we can enjoy the breeze. Then Kian Wee started to do some stunts and helped me to take the picture outside. 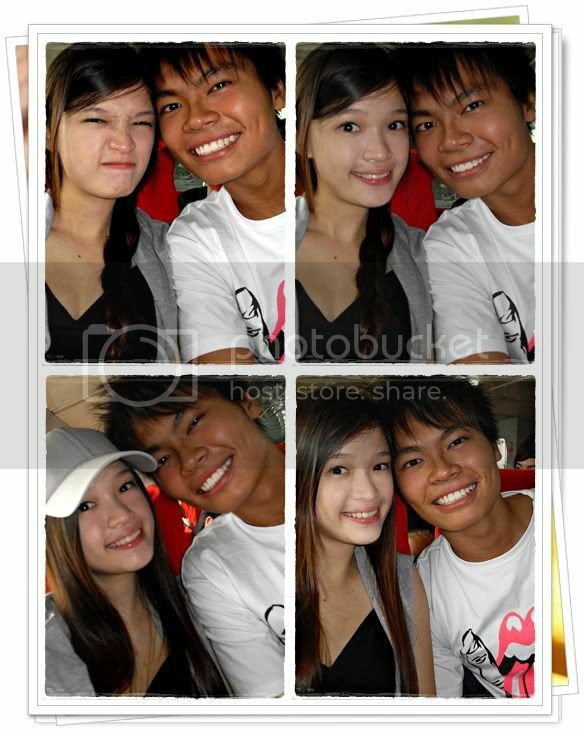 Second overseas trip with bee before he enlisted in 22 days time. Oh ya! And their Cap Dance! They almost did their spot the difference again! 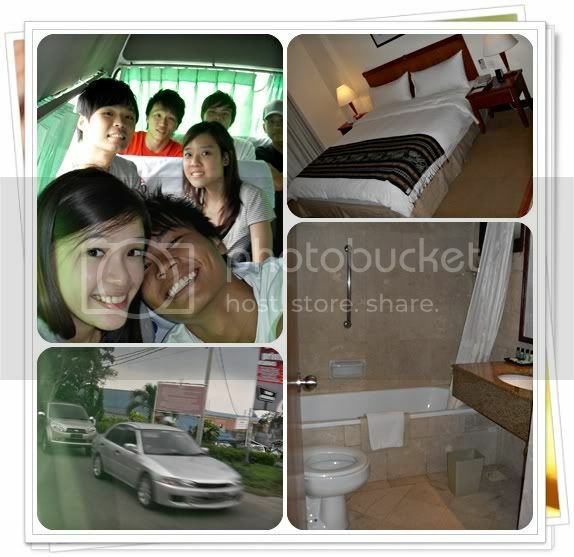 And boarded the Desindo mini van and made our way to Holiday Inn. It took us about almost 30 minutes or so to reach. A very bumpy ride :( The full view of our hotel. [Photo by Kian wee]We are really impressed with our hotel. It was raining super heavily when we reached there. 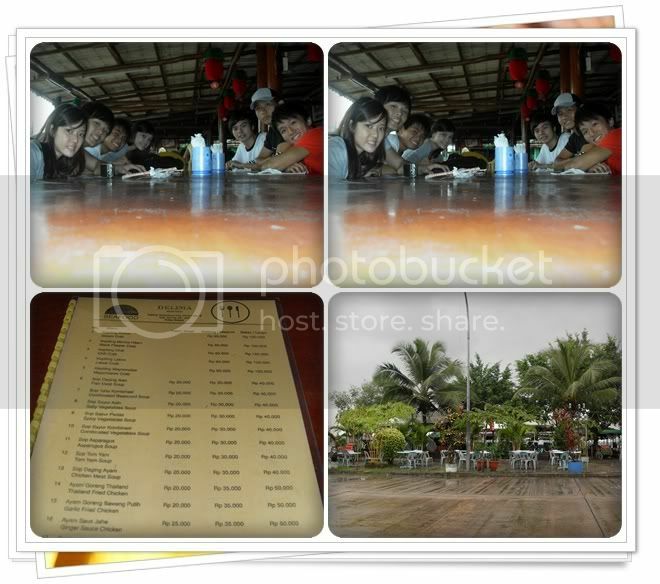 So when we packed finished, we decided to go to the nearby kelong to have our lunch. 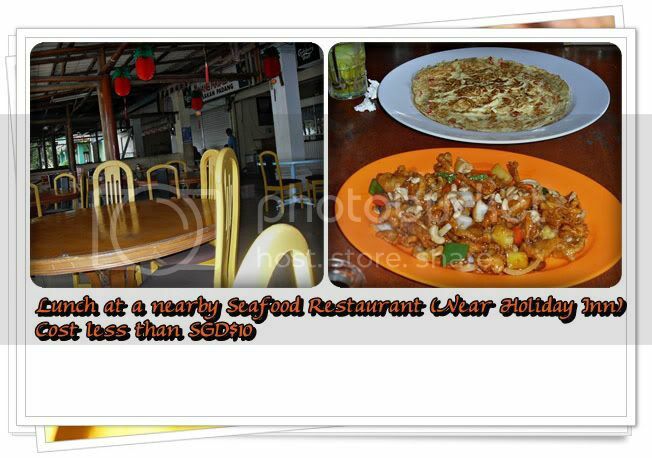 The food there are relatively cheap and also up to standard. We ordered around 5-6 dishes and each person cost only about $8! We decided to go to shop since it was raining heavily. It was the biggest shopping centre. The guys got really tired of walking around the shopping centre and hurried to go for massaging. Shumin and I were so worried as THEY WANTED TO GO FOR MASSAGING! We even joked that both of us must stared hard at those girls that were massaging our boyfriends. The girls decided to take a different package from the guys. It cost only $28 bucks! The guys are a bit more vain! It cost about $38 bucks! It was my first time being massage and body scrub. Okay. I am quite shy okay. Specially the body scrub that they helped you to scrub when you are NAKED! They didn't not tell me beforehand, I feel so awkward! After our session, shumin and I went to look for the guys. We were guided to a room and we saw a few "dead corpse" lying on the bed. We couldn't recognised them and I even told shu min that they are outsiders. But in fact, it was johnathon; shumin recognised his slippers! These are the dead corpse we are referring to. I don't know why bee smile and I swear I did not ask him to smile. They said that he look like the batman's joker! He told me he smile cause he know I am taking photo. 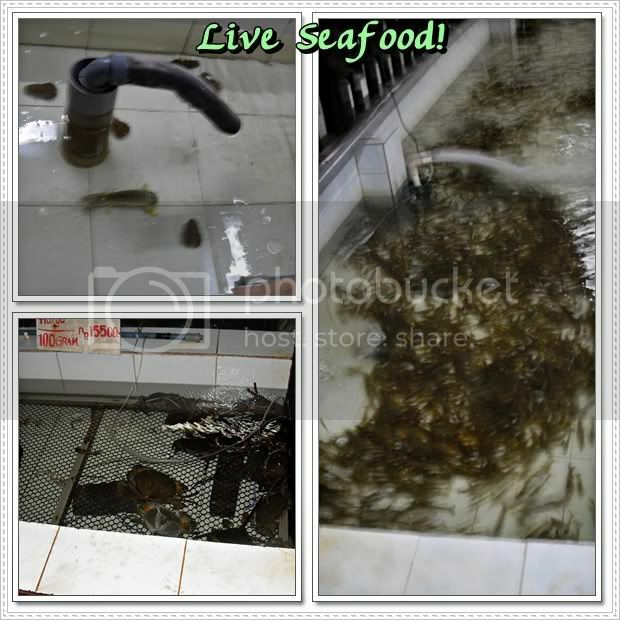 After that, we rushed to the supermarket to get those snacks and drinks for our supper. We really bought a lot; take like everything is free! We had A&W for dinner and their chicken are really small. So disappointed and we end up eating the cup noodles. Cup noodles cost only 30cents! LOL! We chit-chat until very late. The guys were talking about their facial! 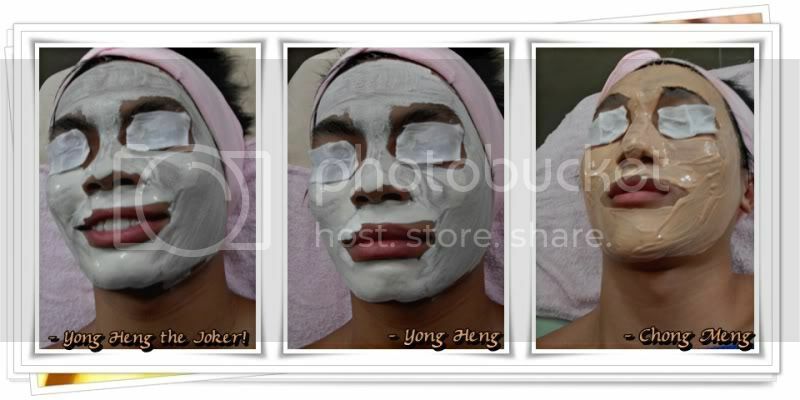 Bee was complaining that pain when they squeeze out his blackheads and pimples on his foreheads that he cried! Tear drops on his eyes! It was really funny; We really can't stop laughing at the way they describe! 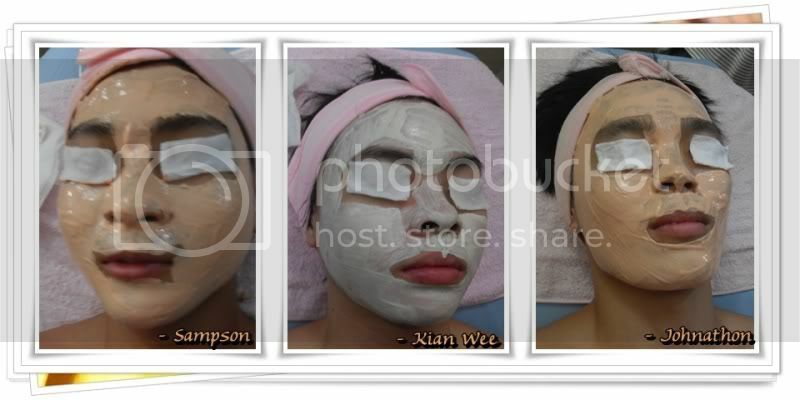 Look like they won't want to do facial again. Bee complained about how they massaged his hair; A few of his leg hair are pulled up by them. They really paid to suffer! We had miscommunication; Supposingly we are meeting at 8am. But we forgot to indicate whether it is Singapore Time or Indonesia Time. There is an hour difference. In the end, bee's alarm clock started to ring at 6.50am!! Okay, but still I did not want to wake up. And it rang again at 7.40am. Okay, I am forced to wake up by him. 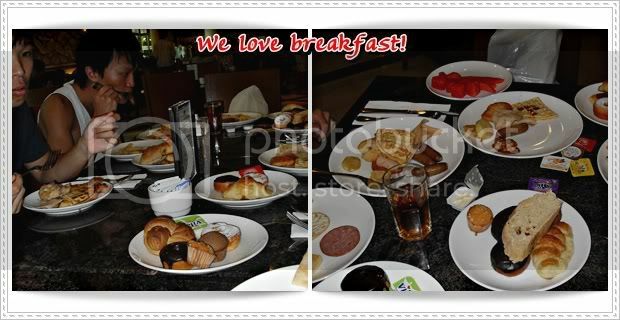 We really enjoyed our breakfast for the first time. I can really said that army boy can really eat a lot! If you were there to see how Sampson eat, you will really got amazed by him. But after eating, all of us went to toilet to bake cake. 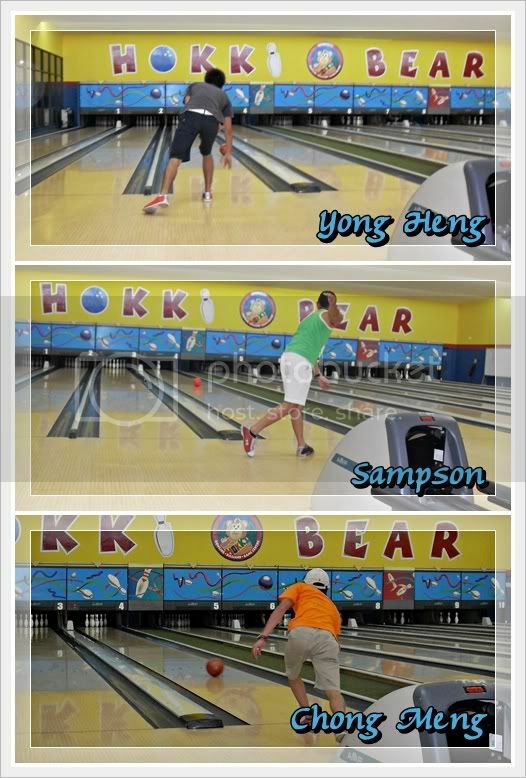 The unglam action by the three guys! We took taxi to Go-Cart. But the Go-Cart is too expensive. We then walked all the way to Harris Resort - Waterfront. 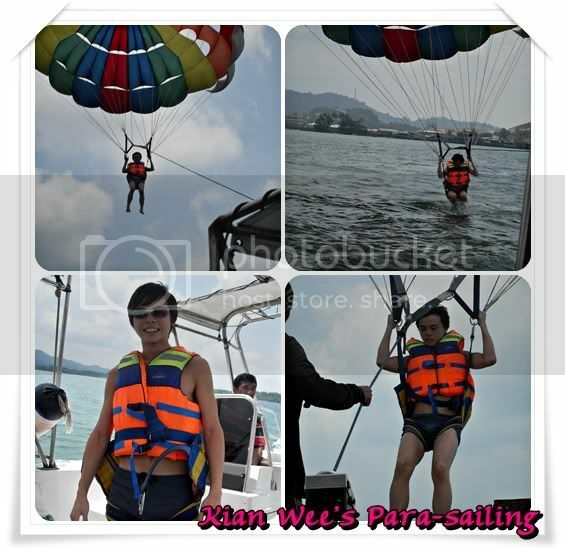 Kian wee was the first one for Para-Sailing. 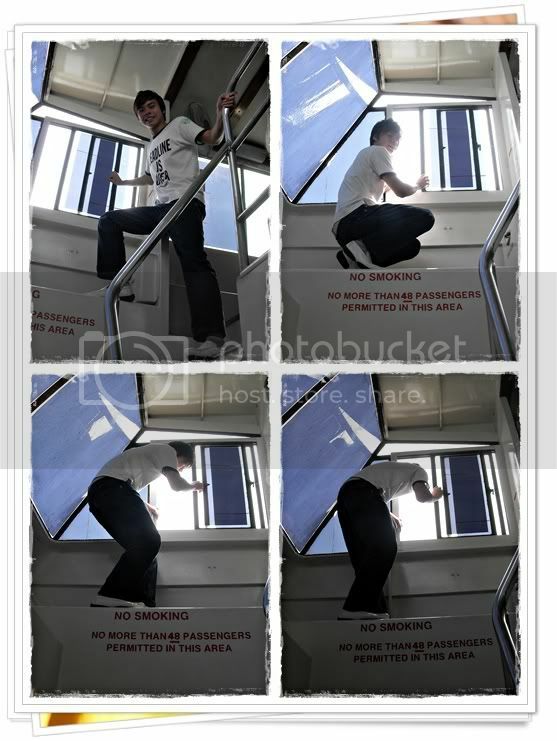 He wanted to back out as he has height phobia. It took us some time for him to overcome. 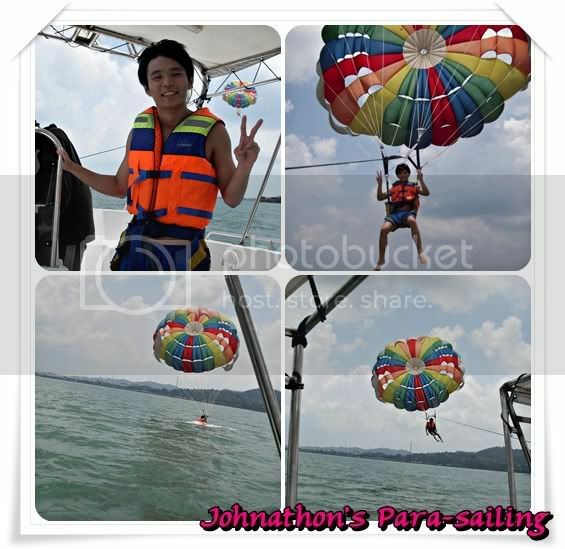 Last but not least, Johnathon. 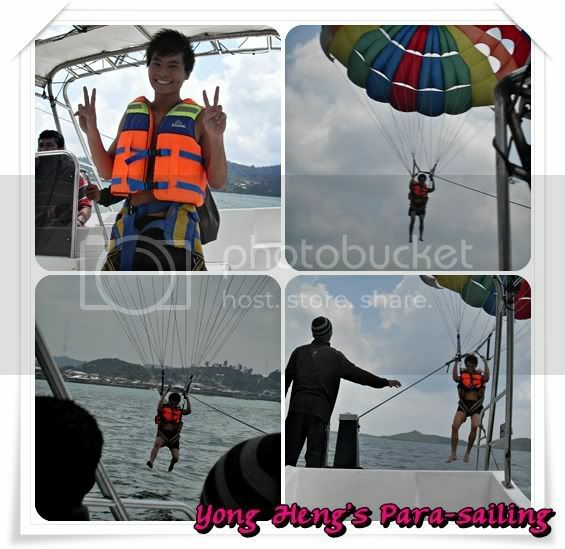 The overall video when we were doing our Para-sailing! We were thrown out for almost 5 times! 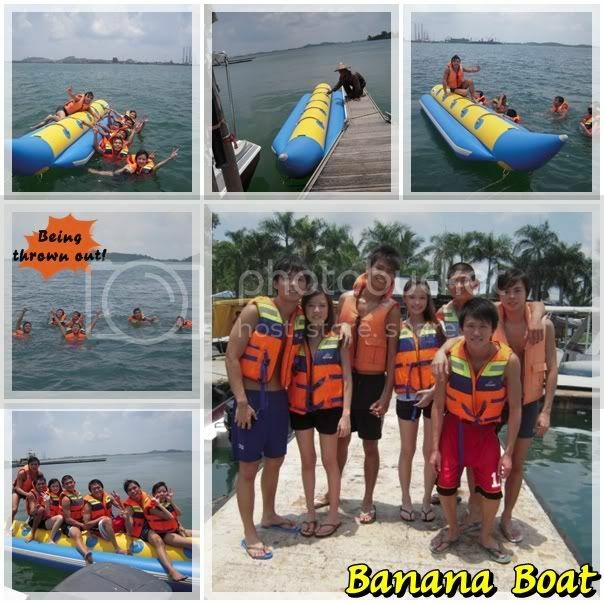 It is not that we are loser or what; I guess we are overloaded with 7 people on the banana boat. 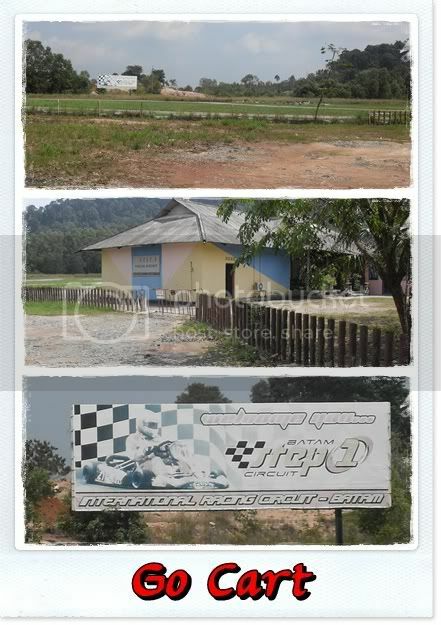 The first time we were thrown out; it was really fast and the feeling was like someone suddenly hit you from the back and got blackout. The water are sooooooooooo salty! It got really pissed off when you realised everyone are thrown out. Their driver kept laughing at us. We supposed to have strategy; but don't know why it doesn't work on us! Too heavy already i guess. I think the worst thing is you struggled when you are being thrown out and you will start to kick and grab people. It was the most boring thing we did. And I believe that is the reason why all of us got sun-burnt. Bee's sense of direction is really terrible. When supposed to be left. he did right. There is this female monkey at the waterfront. She likes guys more than girls; okay, that's normal since she is a girl. She will bit the girl if she sees the girl with a guy. Cause she will get jealous. She looks like a baby girl; so cute! And this is how she hooked kianwee up! And poor kian wee got all the scratches from her. We took taxi back to hotel and we went to the swimming pool to swim. Got ourselves changed, eat cup noodles and off we go for shopping! We went to Batam City Square; it was quite a boring place. 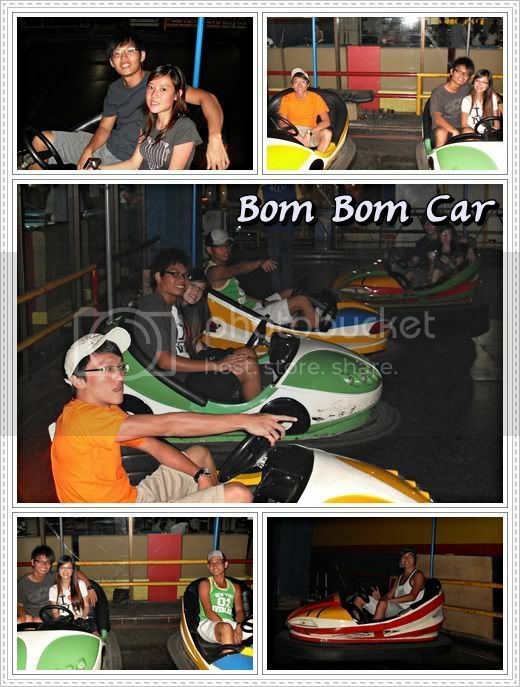 We killed our time in arcade when we saw our childhood favourite "Bom Bom Car"
We all are so excited! I guess Bom Bom Car leaves us some bruise on us. I got it on my knee! 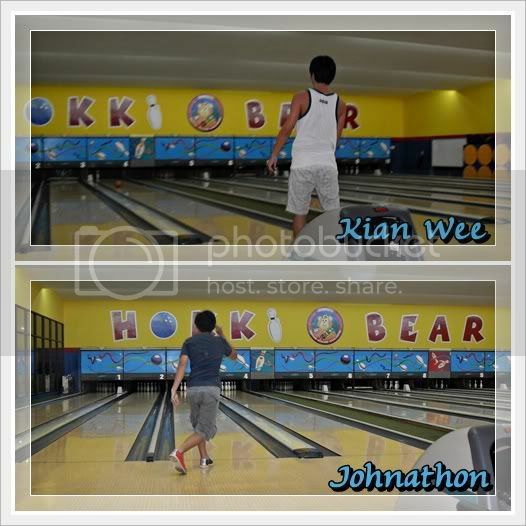 Bowling at Batam City Square! We really afraid that we might missed our Taxi Uncle; But Thank God, he came early to fetch us. 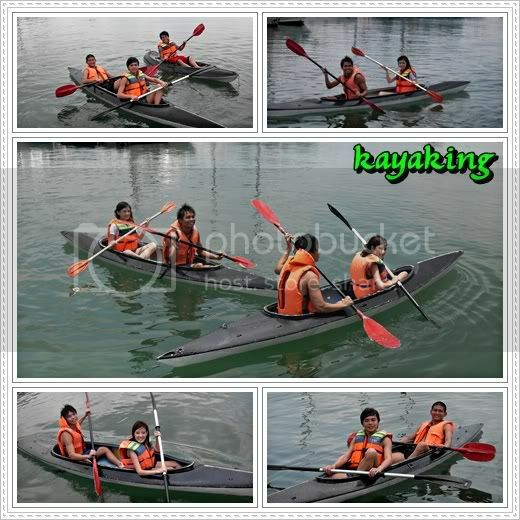 If not we will have to slack again at Batam City Square. We are so hungry till we didnt managed to take the photo of what we ate. But one thing I don't understand is; the prawn. Why it is named as Golden Prawn when their prawn are so small almost like shrimp? But overall, it was not bad! 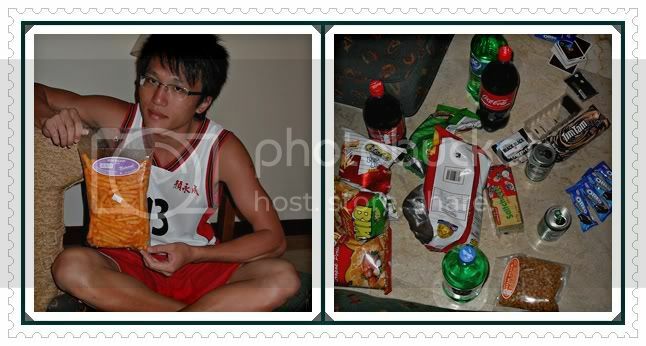 The toughest thing is we had to finish up the snacks that we bought. 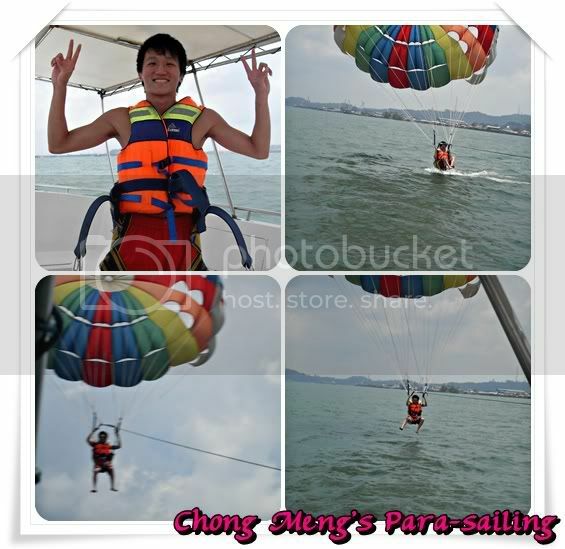 The one that Chong Meng is holding, is an unwanted! He won himself that snack! And the pain in my body! Almost died when I have to sleep in just a direction. I even had a hard time getting myself up from bed; Bee still have to carry my head to lift up my head. Our last day in Batam. Headed for breakfast, but surprisingly we didn't eat much this time. 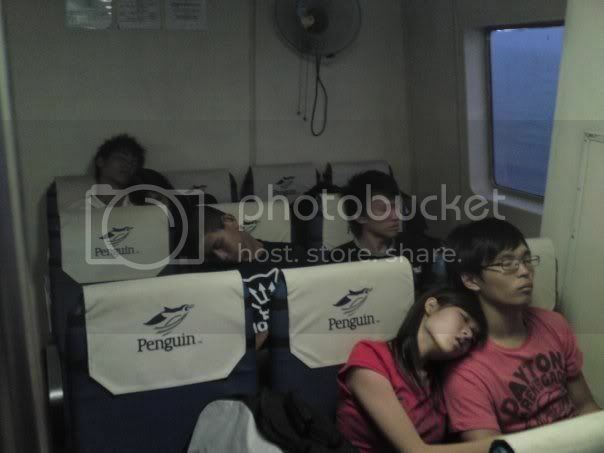 After eating, we went back to hotel to sleep again. Unfortunately, I really couldn't sleep due to my stiff neck. But bee can really sleep very well. He is even able to sleep when you are talking to him halfway. And we checked out at 12pm. I got myself a cap and perfume. 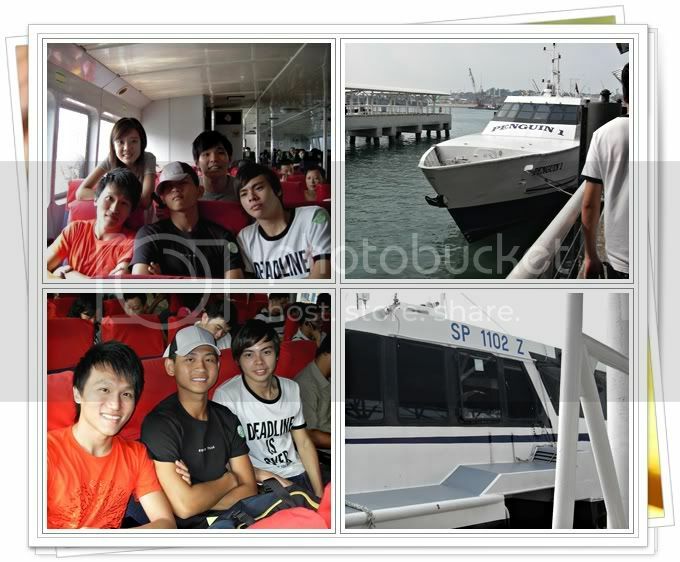 We caught the 6.2opm (singapore time) ferry back. Everyone was tired except for someone who is so energetic!